 ﻿ COCKATOO: secure password aggregator. WHAT IT DOES: It can turn your single master-password or secret gesture(s) into a particular password for any website you need. It's possible to make, using additional information you provide (the site name and, optionally, the hash salt) and a cryptographic hash function. Then, it puts the result right in an active input field in your open browser tab (local versions) or just displays it in a popup window (this online version). Anyway, everything works in a fully autonomous manner on your device. It doesn't keep information neither locally* nor sends it anywhere. * In fact, there is a special option (not recommended!) to save the master-password in browser's local storage / cookies. This tool implies no kind of encryption, so, if you're not completely sure about the environment – don't enable this option: it might not be safe! You've been warned! 7. Secret gestures besides passwords – allow to remember more with a way less effort. DISCLAIMER: THIS SOFTWARE IS PROVIDED BY THE AUTHOR "AS IS" AND ANY EXPRESS OR IMPLIED WARRANTIES, INCLUDING, BUT NOT LIMITED TO, THE IMPLIED WARRANTIES OF MERCHANTABILITY AND FITNESS FOR A PARTICULAR PURPOSE ARE DISCLAIMED. IN NO EVENT SHALL THE AUTHOR BE LIABLE FOR ANY DIRECT, INDIRECT, INCIDENTAL, SPECIAL, EXEMPLARY, OR CONSEQUENTIAL DAMAGES (INCLUDING, BUT NOT LIMITED TO, PROCUREMENT OF SUBSTITUTE GOODS OR SERVICES; LOSS OF USE, DATA, OR PROFITS; OR BUSINESS INTERRUPTION) HOWEVER CAUSED AND ON ANY THEORY OF LIABILITY, WHETHER IN CONTRACT, STRICT LIABILITY, OR TORT (INCLUDING NEGLIGENCE OR OTHERWISE) ARISING IN ANY WAY OUT OF THE USE OF THIS SOFTWARE, EVEN IF ADVISED OF THE POSSIBILITY OF SUCH DAMAGE.